To Foti, Or Not To Foti . . . Seven years have passed since the collection industry was first introduced to Paul S. Foti, the now infamous plaintiff who complained about the content of a benign message left on his residential answering machine by a debt collector. His case set into motion a tidal wave of regulatory and civil litigation across the country from which the collection industry has yet to resurface. Almost uniformly, courts from coast to coast have since distorted the definition of “communication” so badly that virtually any words which pass the lips of a debt collector fall within the FDCPA’s definition of “communication.” Those same words left on an answering machine must comply with all requirements and prohibitions of the FDCPA’s rules governing a debt collector’s communications. Recent case law, including the 10th Circuit’s decision in Marx v. General Revenue Corp., 668 F.3d 1174 (10th Cir. Colo. 2011), appeared to mark the beginning of a shift in the tide toward narrowing the erroneously broad interpretation of the definition of “communication.” These advancements toward clarity; however, may have been thwarted by recent regulatory activity. 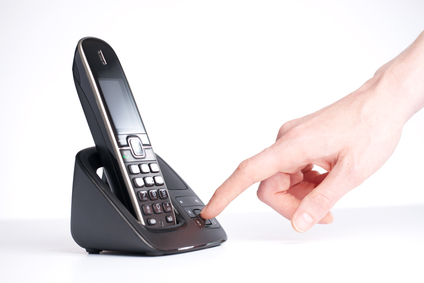 The collection industry has been asking regulators and lawmakers for an “answering machine solution” for years. The industry asks; however, at the risk of getting an answer, which it recently received from the Federal Trade Commission. On July 16, 2013 the United States District Court for the Northern District of Texas entered a court order consummating an agreement between a debt collector and the Federal Trade Commission to resolve litigation that the FTC brought against the collector. The FTC’s lawsuit included allegations that voice mail messages left by the collector violated the FDCPA because they identified both (1) the caller as a debt collector, that they were attempting to collect a debt, or that the consumer owes a debt, and (2) the name of the consumer. The FTC alleged this information was left on answering machines irrespective of the content of the greeting recited by the machine on which the message was left, which may have indicated that the recipient was not the consumer or that others may hear the message. The order commands the debt collector to comply with specifically recited rules on how to leave a message. The collector may not leave any message which states the first or last name of the consumer and also that the caller is a debt collector, attempting to collect a debt, or that the consumer owes a debt. There are two exceptions to this rule. The first exception is if the consumer’s answering system greeting discloses only the person’s first and last name and the first and last name disclosed is the same as the person who allegedly owes the debt. The second exception is if the collector has already spoken with the person at least once using the telephone number associated with the messaging system. The collector may not leave any message if the called party asks for no messages to be left at such phone number. The collector may not treat any inbound call resulting from a message left pursuant to Rule 1 as a location information call which seeks to confirm or obtain the location of the consumer. Readers may ask, “Are these rules the law of the land?” Answer: No. “Are all debt collectors required by law to follow these rules?” Answer: No. “Is this order enforceable against anyone other than the defendants involved in that litigation?” Answer: No. “If I am a debt collector today, would I be crazy to ignore this consent order? Answer: YES! Remember, the FTC does not have rule making authority under the FDCPA. Unlike the Consumer Financial Protection Bureau, the FTC cannot make debt collection law through the formal rule making process. This means that the only meaningful way the FTC can make policy and communicate its expectations to the industry is to take action against debt collectors then “parade” its orders and settlements throughout the industry in a very public way. This recent order is the FTC’s way of communicating its expectations directly to the collection industry. The rules articulated in the order may not solve all the messaging problems facing the industry, but it gives the industry insight in how the FTC is thinking. The industry would be remiss to think the CFPB was not consulted or directly involved in the drafting of the consent order which created the messaging rules for this collector. The FTC believes the messaging rules articulated in this recent order comply with the FDCPA. Collectors should take heed. The case is entitled, United States of America (For the Federal Trade Commission), Plaintiff, v. Expert Global Solutions, Inc., Formerly Known as NCO Group, Inc., et al., Case No. 3-13 CV 2611-M, FTC File No. 1023201 (ND Tex. July 16, 2013).